This system comprises seventeen Schott 230 watt modules on a perfect purpose built South facing base with the modules at the 30 degree optimum. 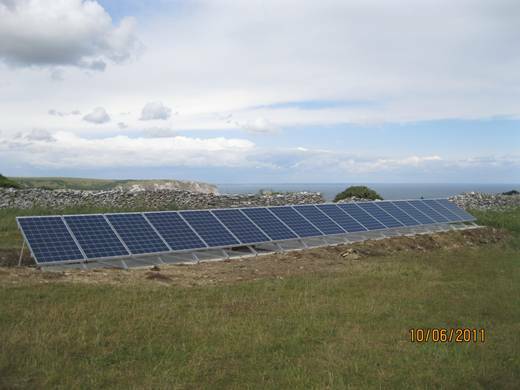 We used Schott, the top German module for this project as the panels are extremely strong and it is a windy location and Schott have an amonia protection which is more suitable for this farming location. The cool breeze will keep the modules at a lower operating temperature and during one week in mid June 2011 this system generated 163 units. That is over £10 a day during this period of poor June weather. 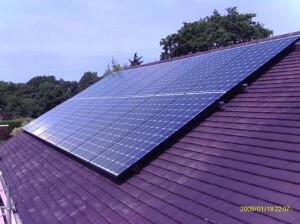 Although the modules are a fairly average 13% efficient this installation is set to generate at least £1600 a year , tax free and index linked for 25 years. This 4kW, South facing, Sanyo system in Bransgore is set to generate at least £1600 a year, every year , for twenty five years. 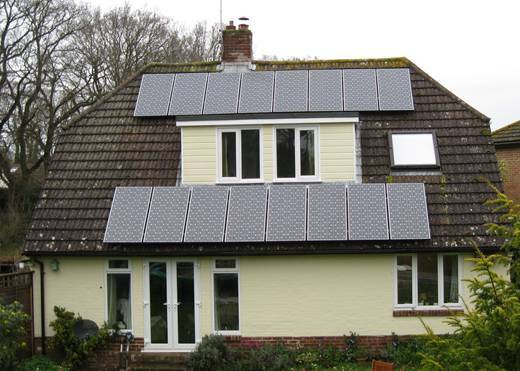 Sixteen Sanyo HIT240 watt modules at 19% efficiency for Mr Bell in Ringwood. 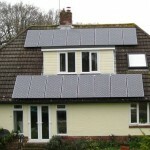 This sub £15K South facing solar PV system will generate a minimum of £1700 a year with the feed in tariff . That is a minimum ROI of £42,500 tax free and index linked over the 25 year contract period and the system will also save at least 30% of his import bill.